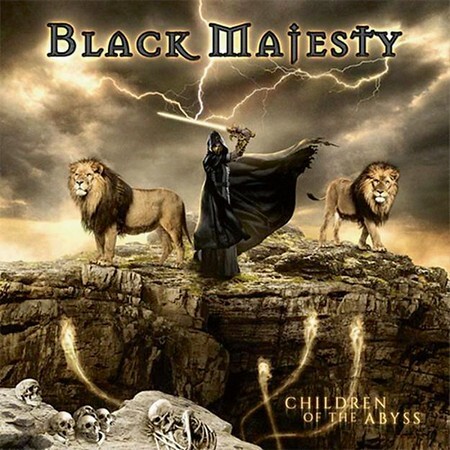 Australian band Black Majesty released their seventh studio album, “Children of the Abyss” through Pride & Joy Music on 21st September. The power metal band has just finished a European tour in support of the album. They’ve been releasing a new album every two or three years since their debut appeared in 2003. The single “Somethings Going On” was included on the Friday NI Rocks Show on 28th September. Black Majesty formed in Melbourne in 2001, initially using the name Kymera until 2002. An EP was released in 2002 ahead of the debut album “Sands of Time” in 2003. Further albums followed in 2005, 2007, 2010, 2012 and 2015. The band has toured through Europe on a fairly regular basis as well as supporting touring bands such as Dragonforce, Helloween and Saxon in Australia. At the core of the band since its formation have been guitarists Hanny Mohamed and Steve Janevski, along with vocalist John ‘Gio’ Cavaliere. There have been a few changes in bass player over the years with Evan Harris joining in 2015. Original drummer Pavel Konvalinka was replaced the same year by Ben Wignall.